Joshua Kopievsky, 28, from Toowoomba. 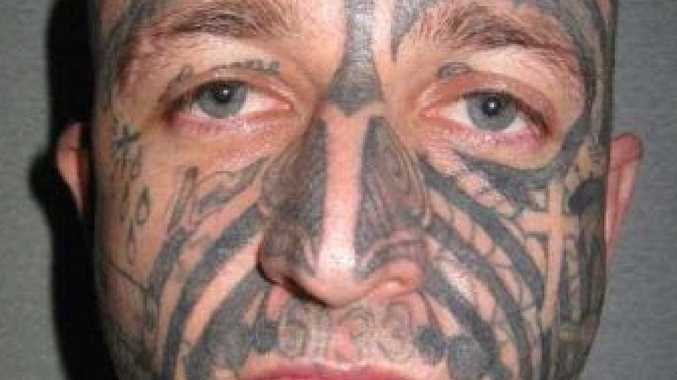 Police searching for a man with tribal face tattoos who disappeared last year west of Brisbane have found human remains. Joshua Kopievsky, 28, was last seen entering bushland in Toowoomba around midday on November 24. Specialist police searching rugged terrain around the Toowoomba Range located a body this morning. The remains are yet to be formally identified or forensically examined but police said there was no suspicious circumstances. Mr Kopievsky's family have remembered a kind and loving father of three. "Josh had the biggest, happiest sense of humour … his laugh was silly and contagious," mother Karen told The Courier-Mail. "Josh was the star of my entire family, a loved missing link (who) adored his children. "Josh had finished with his thug life and had made many family plans for the weeks leading up to Christmas." His ex-partner and mother of his three children, Alex Hayes, said "Joshua always had a good heart and he always had good intentions". "I'm going to remember him the way we were when we were a family," she said. "He always had time for the kids, and did the fun things with them. I'm sad that they won't have the chance for that again." Karen Kopievsky said her son, who was on parole, was going to see his lawyer to organise permission to visit NSW. However he vanished two days before the meeting. "He said to me to stop crying, he's coming home," she said. Specialist police, including abseilers, conducted numerous searches of bushland near where he was last seen. The area takes in the escarpment in the Toowoomba range, described as " very rugged country" by police. Detectives had investigated whether Mr Kopievsky's criminal past had played a role in his disappearance but found no evidence of foul play.